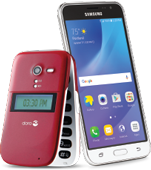 We offer a wide variety of cellphones to fit any lifestyle, from traditional, simple flip phones to state-of-the-art smartphones, and even iPhone models. 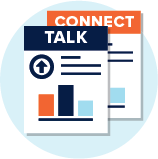 Our Talk and Connect plans give you the freedom to connect any way you choose. Get only the minutes, texts, and web data you really need. Change your cellphone plan anytime, as often as you wish—there are never any additional fees. Simply Ask a Question or Browse by Topic to find answers to all your questions. Or just give us a call—we’re here to help. If you have questions about a particular cellphone model, check out our Videos & Manuals section below for detailed instructions about your specific phone.